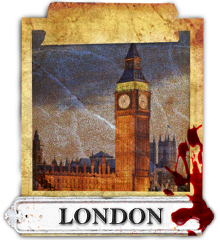 We have run murder mysteries in almost every city in the United Kingdom. The following are just a selection of places where we have worked, along with some suggestions of suitable venues. We absolutely and utterly love London at the Murder Mystery Company. The British capital is one of the culture havens of the world and it’s brimming with exciting and captivating places to explore. From the London Eye to the Natural History Museum and the historically rich Westminster Abbey and the Tower of London... it has a setting for every one of our thrilling murder mystery events! A relatively small market town in Medieval times, Birmingham became a shining beacon of the Enlightenment movement in the Midlands throughout the 18th century. Hailed as the ”first manufacturing town in the world”, it pioneered important worldwide developments in science, technology and economic reform. One of our favourite locations for our innovative murder mystery events. Our beautiful home town of Brighton is a true gem on the picturesque Southern coast of England! The ancient settlement of Brighthelmstone dates from before the Doomsday Book in 1086, enveloping its cobbled streets and vast beaches in an air of mystery. One of the most cultural cities in Europe, Brighton oozes creativity, style and cool charm making it THE destination for your murder mystery event! The solemn city of Edinburgh boasts a rich and intriguing history coupling atmospheric cobbled streets with breathtaking architecture, old closes and wide avenues that take you on a fantastic voyage through time. The ancient tale of Leeds begun in the 5th century when the kingdom of Elmet was covered by the dense forest of “Loidis”, the origin of the name Leeds. Nowadays it is the cultural, financial and commercial heart of the West Yorkshire urban area and a true landmark of Northern England. Site of the world’s first railway station and home of exceptional scientific progress, Manchester is a true beacon of excellence in culture, music, engineering and sports. Born as a Roman fort in 79 AD, it’s fringed by the Cheshire Plain to the south and the “backbone of England”, the Pennines to the north and east. The historic capital of an ancient Viking, Celtic and Roman melting pot is the proud walled city of York. The York Minster is the largest Gothic cathedral in northern Europe and the vast array of medieval churches is rivalled only by the number of pubs full of character and fine ales. Squeezed within rugged Roman walls, the city is full of exciting treasures and contrasting features.